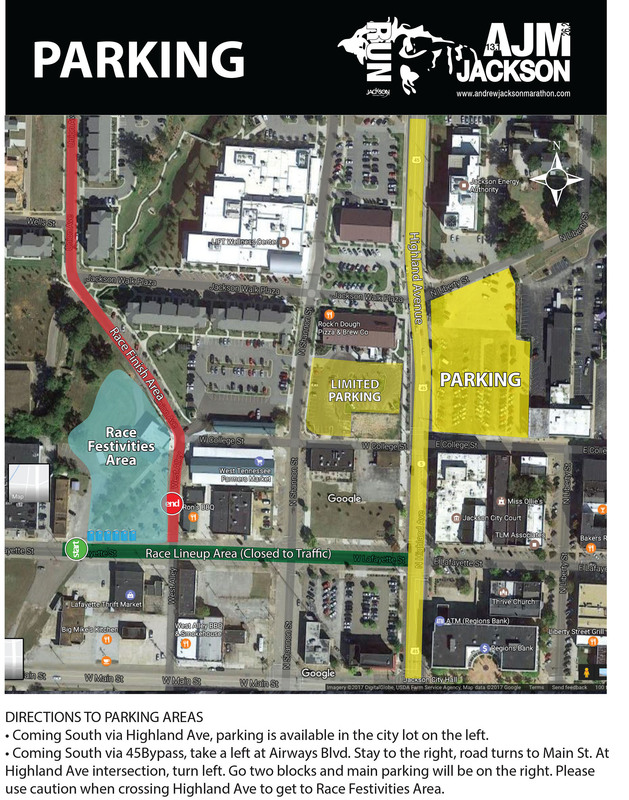 Race Location: Both races start in downtown Jackson - West Tennessee Farmer's Market, 91 New Market Street, Jackson, TN 38301. There is ample parking in the surrounding area. For runners, come carb up Friday night, April 5th before the race at the Pasta Party. Non runners may join you for $5 each. It will be held at the Jackson Chamber of Commerce, 197 Auditorium Street, Jackson, TN 38301 from 6:00pm - 8:00pm. Race packets will also be available for pickup. Friday, April 5th - Performance Running, 398 Oil Well Road, Jackson TN from 10:00am to 4:00pm and the Jackson Chamber of Commerce, 197 Auditorium Street, Jackson, TN from 6:00pm to 8:00pm. The safety of our runners, volunteers and spectators is key. Please note that portions of the course will be open to traffic, portions will have lane closures and major intersection crossings will have police protection. As you run along the course, please be aware of your surroundings and runners around you to help ensure the safety of all participants. The looped course contains water and Powerade aid stations at every mile and PortaPotties throughout. Please check the route map for approximate locations of both. We have two Medical Command Posts set up, one at the finish line and one about half way along the course for your safety. Additionally, there will be marked utility vehicles with flashing lights traveling the route on a consistent basis to maintain safety. Our first responder team is fully equipped and able to handle medical emergencies. Marathon participants must be 16 years or older on race day. There will be a 6.5 hour time limit on the race with disassembly of the finish line beginning after 1:30pm. Any participants who complete the full marathon following disassembly will not receive an official finish time but will receive a finisher medal if available. No Headphones / No Dogs / No Strollers. All Run AJM Jackson runners who cross the finish line will receive finisher medals. Male and Female Overall, Masters (40+), Grand Masters (50+), and Senior Grand Masters (60+) RRCA TN State Half Marathon Championship medals will be presented, followed by awards for RunAJM Jackson Male and Female Overall, Masters (40+), Grand Masters (50+), Senior Grand Masters (60+) and top 3 in each age category. RRCA TN State Half Marathon Championship and RunAJM Half Marathon awards ceremony will begin at 10:15am and the RunAJM Marathon awards ceremony will begin at 12:00pm. Many of the costs of this race have been paid out or planned based on the number of registrations. 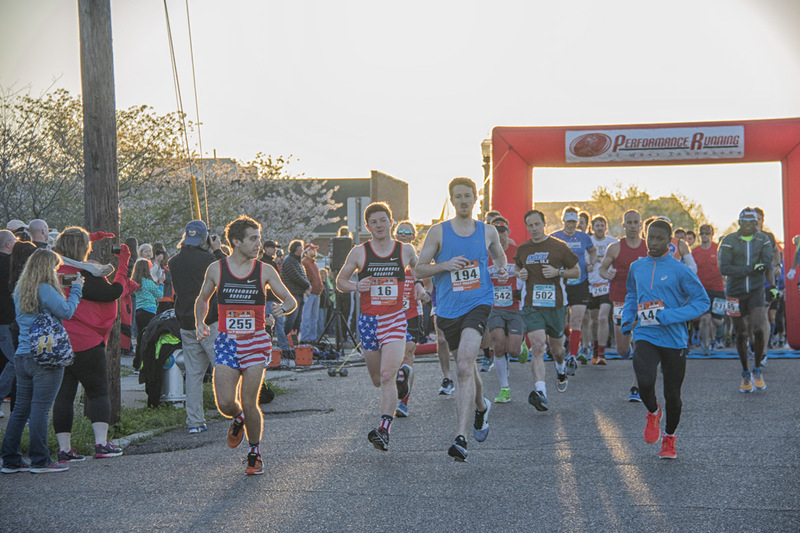 Therefore, race registration fees are not refundable under any circumstances; race registrations are not transferable to other participants, or to a future year's event. Please consider these factors carefully before completing your registration.